If it were possible to analyse every possible outcome of a position, would there ever be a single move that could be considered "best"? I know that this is how computers evaluate positions, but they can only calculate the decision tree down to a set number of moves. If it were possible to analyse every possible outcome in a reasonable amount of time (possibly with quantum computing), could the ultimate chess move be made? What I guess I'm saying is that is a chess move objective in that only one move is really the best one, or should it be subjective in that it makes certain assumptions about the opponent? For example a move may be made that 90% of players are not "good enough" to counter, and therefore that move was a good move (what I mean by subjective). However, there may be another move that is more strategic which increases the chances of victory against 100% of players, but this would not be known to anyone unless it was possible to make an exhaustive analysis of every single outcome (objective). No, there are positions in which a lot of moves have the same effect or are the same but you can play them in a different order. There are plenty of situations where there is more than one move which leads to a forced mate. So in those situations any of those moves is objectively best, and there's no one best move. There are five moves that are equally "good". I know that this is how computers evaluate positions, but they can only calculate the decision tree down to a set number of moves. Not to a "set" number, but yes, computation time grows exponentially (even with minimax algorithms) so there is a practical limit on the search depth. If it were possible to analyse into infinity in a reasonable amount of time (possibly with quantum computing), could the ultimate chess move be made? If you had a large enough amount of storage and computation time or computation speed, you could always solve chess (so you would always know the moves that will win the game in the lowest number of moves). But that's far away since even 7-men endgame tables are estimated to take up around 100 terabytes of harddrive space (compressed). My guess would be that every position has a single objectively best move or two moves that are equally strong. Three equally strong moves is already less likely, unless of course the best move is for instance a discovered check with a bishop and it does not matter which square it chooses to open up the check. The best move in the position is the move that follows the correct sequence of moves in order to reach the next correct goal. For example, you want to attack the opponents castled King. First, you should launch a pawn storm to open up one or two files against the enemy King. Next, you should place one or more heavy pieces on this open file. Third, you should smash the pawns and pieces protecting the enemy King and deliver a checkmate. The best move at every point of this path is the move that reaches the target goal as efficiently as possible. I would say that the answer is "Yes" because my guess would be that in the majority of cases, a single move is slightly better than the second best move! Yes, it is possible to adjust your moves to your opponent. Perhaps even better, to adjust your moves to your own style of play. For example, if you prefer to play long middlegames, then you will try to keep the queens on the board. Thus, you might decline a queen exchange, even if that was the objectively strongest response. When the difference between the two best moves is tiny, the choice can be guided by your style of play. Evaluating this difference correctly is perhaps one of the hardest decisions at every move. Additionally, finding the best move and making it on the board is already more difficult than it sounds! No, you cannot say that there can be a single best move in every position. In most positions there are a number of equally good moves with different effects. Chess is a finite game, alright, but the branches are so many that even computers (still) need a substantial amount of time to calculate a full branch starting from a single move. This is why there is the strategic evaluation of a position. This allows you to play moves without the need to calculate the full branches for each one. This is a really interesting question. Because if it was possible to have an objective best move for every position, chess would cease to be played. For this reason, I will say that there are definitely some positions were there are objective best moves, but also others where there are not. 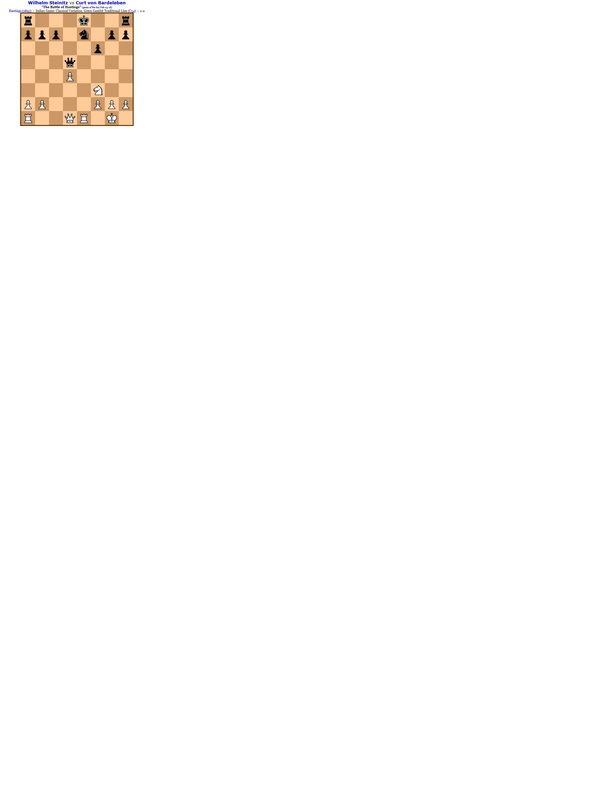 Now onto my "proof"
Lets assume that an infinity tree were possible by a chess engine. On the very first move by white, the tree would have to be fully calculated. refer to the next step in the tree at that point. In fact, once this tree is created ONCE, it no longer ever needs to be created. All chess programs would just be pre-loaded with this tree. Now, once this tree IS created, all chess masters would simply study the tree. They are no longer analysing chess, but memorizing a computers computation of chess. People would stop playing chess, as it would become predictable. By analysing the "first move" I am very confident to say there is no objective best move for every position. Even the best Chess masters all like to start with different first moves based on their opponent. Like Rauan said, if it were possible to analyze every possible move then there will most certainly be at least one move that leads to checkmate (or draw) in the shortest amount of moves, but there won't be ONLY one best move for each possible position. Fortunately, I haven't found a way to analyze every position perfectly, which still makes the game enjoyable to play. Those which will guarantee victory no matter what the opponent does, as long as the player continues making category-1 moves (the opponent will have nothing but category-3 moves unless the first player makes a category-4 or category-5 move). Those which are made in a situation where no moves of the first category were possible, and would result in a draw if both players play exclusively moves from category 2 (both players will have category-2 moves unless someone makes a move in category 5, whereupon that player's opponent will have a category-1 move available). Those which are made in a situation where no moves of either of the first two categories is possible. Those which are made when a category-1 move existed, and will result in a draw if both players play exclusively from category 2 (a category-4 move will give the opponent a category-2 move, and categories 1 and 3 will no longer be possible unless someone makes a move in category 6). Those which are made when a category-1 or category-2 moves exist, but result in a loss by giving the opponent a category-1 move. Any player who is on move will always have one or more moves available in exactly one of the first three categories available; all much moves are essentially equally good (note that if a player has a category-1 move, no move by his opponent will be better or worse than any other). All moves in category 4 are equally bad, as are all moves in category 5. When moves exist in categories 4 and 5, those in category 5 are worse. It is often convenient to rank category-1 moves by the number of additional moves that will be required to secure checkmate (the fewer the better), and category-3 moves by the number of additional moves the opponent will require to secure checkmate (the more the better). From a qualitative standpoint, it doesn't matter whether a mate requires 2 moves or 174, provided it doesn't run afoul of any rules which would prematurely call a draw (50-move rule, 175-move rule, etc. ), but lines which rank better by those measures tend to be more interesting than those which would rank worse. Playing against an opponent who is known to be imperfect introduces another factor, which is while a perfect opponent would never make a category-4 or category-5 move, a category-2 or category-3 move which induces the opponent to make a category-4 or category-5 move is likely to achieve a better result than one which doesn't, and may be a better move from the perspective of the game of "chess against Alex Smith", but that "game" is nowhere near as well defined as chess. Sure, but you need the caveat of "within the data considered." Personalities matter, skill levels matter, moods matter, time matters, tournament situation matters. An ordinary engine considers none of these things. Plenty of examples of top players choosing the more complicated move over the "best" move. Engine evaluation assumes a win is twice as good as a draw. But what if you only need a draw to clinch first place? Suddenly a win and a draw are identical--ambitious moves are worth less, forcing a queen trade worth more. Conversely, what if you need a win? If drawing and losing give the same result wild speculative sacrifices look better. Engine evaluation also assumes subsequent moves are all the "best" moves. Accurate valuation would require calculating the likelihood of each player finding said best move. Trading into a "lost" P vs. 2N ending may be -99 vs. a GM, but a dead draw vs. a 1500. The Best move on a Chess Board has sometimes takes decades or even Centuries to get discovered . The below Game Screenshot is a game between Wilhelm Steinitz & Von Bardeleben played in 1895 London . It is White to move now and Move number 15th .The Move White gave was Qe2. After 78 years it was discovered that the best move in this position was Qa5! . So it is impossible to find always the best move on the board . There can be a lot of Good moves also which can also make you win the Game . Not the answer you're looking for? Browse other questions tagged analysis engines theory calculation or ask your own question.